Today LG pre-announced significant additions to their high-end wearable, the LG Watch Urbane, via a new edition called the LG Watch Urbane LTE. Both devices will officially launch at Mobile World Congress next week. From a feature standpoint, the LG Watch Urbane LTE adds more wireless functionality via the inclusion of LTE, VoLTE (not 3G voice), GPS, and NFC. These additions dramatically expand LG's ability to cover the movement use case of wearables and places the Watch Urbane LTE alongside the Samsung Gear S as the only devices to include cellular functionality. This provides a safety net when making a fitness excursion, as emergency calls are now possible. LG had this use case in mind specifically as they included a single key press to initiate an emergency call. Additionally, the inclusion of NFC enables mobile payments, although LG has not yet provided details on how this works. Finally, LG has dramatically increased the battery size from 410mAH to 700mAH, which will help immensely with powering the LTE radio. I should note this is the largest battery I have seen to date in a wearable. From an industry perspective, the most interesting part of this announcement is that LG has ditched Android Wear which was used for the non-LTE edition of the Watch Urbane. As Android Wear does not support NFC payments or cellular, this was a necessity to bring the Watch Urbane LTE to market, but it highlights that device makers like LG and Samsung are not waiting for Google to add functionality. Google needs to improve the pace of Android Wear updates if they want to keep their partners using the platform. Update: It appears the watch might not run a customized Android distribution but rather something more custom. 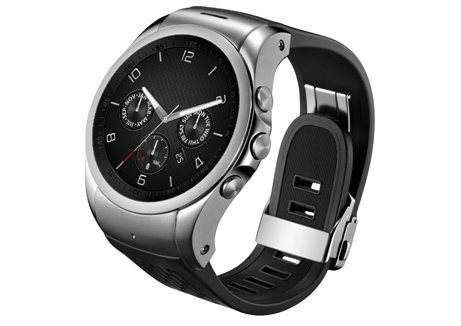 LG describes it as "LG Wearable Platform Operating System". Other news are reporting this as WebOS derived but nothing has been confirmed from LG. WebOS would be impressive considering we haven't seen a version including VoLTE. Price and availability remain unknown. Look for additional details as Mobile World Congress 2015 begins next week. That would make sense if it IS WebOS, but it's unfortunately unlikely :( I can't imagine the engineering that would have to go into bringing a 3 year old OS up to speed: LTE modem driver, new bluetooth stack, NFC backend--which was technically in WebOS 3.0.5 but never finished, drivers for heart rate and various other sensors, not to mention optimizations. I agree. Even Nexus and "pure Android" devices have uncompetitive battery life. Not necessarily so. Even proprietary OS, if they have open APIs and a nice IDE to develop from using standard Eclipse tools, then it could be just as good as Android Wear. The issue of Wear is the slow evolution and that Google putting strong controls/restrictions on it. The people in Google are NOT experts in wearables. Just look at Garmin and their products. Pretty darn good and all proprietary OS yet open enough on the APIs for apps in Android and (possibly IOS) to interacted with almost full fidelity with the watch.